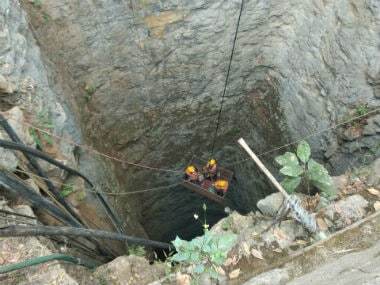 Indian Navy divers on Saturday joined the operation underway to rescue 15 miners trapped inside a flooded rat-hole coal mine in Meghalaya since 13 December, officials said Friday. The Navy spokesman said in a tweet that a 15-member diving team from Visakhapatnam in Andhra Pradesh will reach the site in the remote Lumthari village in East Jaintia Hills district Saturday morning. "The team is carrying specialised diving equipment including a re-compression chamber and remotely operated vehicles capable of searching underwater," he said. The Navy carried out an initial assessment on Friday to determine an effective response. Pump manufacturing company Kirloskar Brothers Ltd and Coal India were jointly moving 18 high-powered pumps to drain water out of the 37-foot-deep mine. 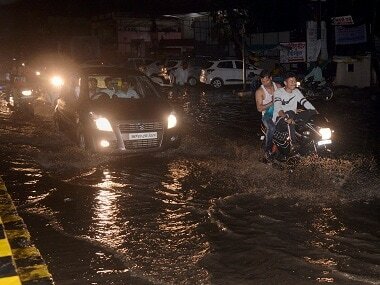 A team of surveyors from the two companies also conducted an on-the-spot assessment of the situation. They will submit a report to East Jaintia Hills district authorities on the technicalities about positioning pumps for effectively carrying the operation, officials at the site said. The team would carry special diving equipment including a remote-operated vehicle capable of conducting an underwater search. The Air Force has airlifted 10 pumps from Bhubaneswar. Its personnel have landed in Guwahati, 270 kilometres away from the coal mine, official sources said. Australia reached 44/2 at lunch on Day 4 at Melbourne, having lost both their openers early after being set a target of 399 by India. The visitors earlier declared at 106/8, with Pat Cummins registering his career-best haul of 6/27. The series is level at 1-1 right now, and the Indians will retain the Border-Gavaskar Trophy should they win the Melbourne Test. As controversy erupted over the upcoming film The Accidental Prime Minister, a film based on former prime minister Manmohan Singh, lead actor of the movie Anupam Kher on Friday said that after certification of a film by the censor board, nobody has the right to ask for showing the film before its release. 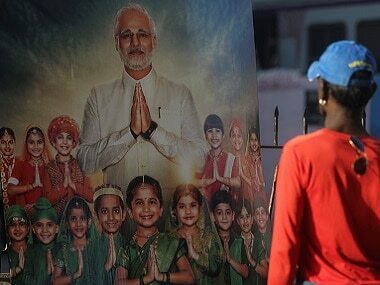 Earlier in the day, Satyajeet Tambe Patil, president of the Maharashtra State Youth Congress, sent a letter to the producer of the film demanding a special screening before it is released. He raised objections to "incorrect presentation of the facts" in the film, the trailer of which was released on Thursday. However, Kher added: "If Manmohan Singh asks us, we will show him for sure." 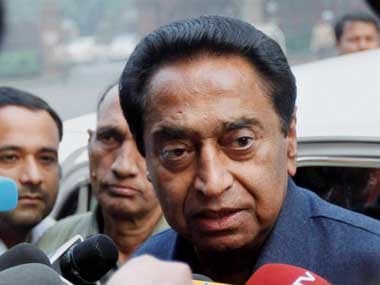 Madhya Pradesh chief minister Kamal Nath distributed portfolios to his cabinet Friday evening, keeping Public Relations, Industrial Policy and Investment Promotion Department and Employment Department among others with himself, an official said. Nath also kept the Public Service Management department and the Technical Education with him, he said. Tribal MLA Bala Bachchan, who was a minister in the previous Digvijay Singh-led Congress government, was given Home and Jail, while another senior MLA, Tulsi Silawat, got Health, the Public Relations department official said. US national security advisor John Bolton said Friday he would visit Turkey and Israel to coordinate on Syria, after President Donald Trump's decision to withdraw all US forces. Bolton said he would head in January to both Turkey — which has enthusiastically backed Trump's sudden move — as well as Israel, a close US ally where the pullout has caused concern. "We will discuss our continued work confronting security challenges facing allies and partners in the region, including the next phase of the fight against ISIS (also referred to as Islamic State), as the US begins to bring troops home from Syria," Bolton tweeted. BJP MLA Devendra Singh Lodhi on Friday stirred a controversy in Bulandshahr violence case stating that inspector Subodh Kumar shot himself in haste after he became hopeless. Speaking to ANI, Devnedra Singh said: "While trying to save himself, the cop became hopeless and fired at himself in haste. 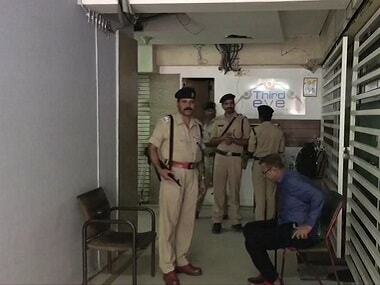 He was not targeted by anyone; it was a mob that got aggressive as the police was not filing an FIR." Notably, Subodh Singh died on 3 December after violence occurred in Bulandshahr over the finding of cow carcasses in Chingrawath village. The post-mortem revealed that Subodh had six marks of injuries inflicted by stones and also a bullet was stuck inside his skull.